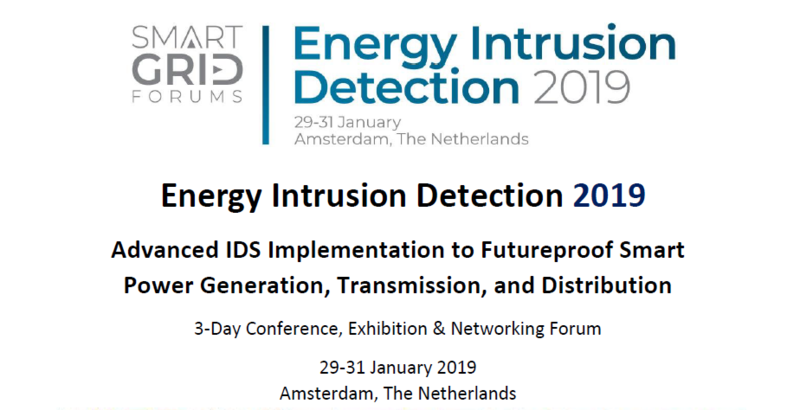 The 1st annual Energy Intrusion Detection takes place 29–31 January 2019, in Amsterdam, The Netherlands. This end-user driven, implementation focused conference draws together 120+ cybersecurity specialists from electrical power generation, transmission, and distribution operators across Europe to discuss the evaluation, procurement, and implementation of these crucial monitoring systems. 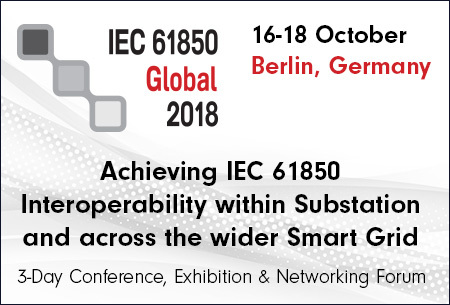 This event follows the recent adoption of the NIS directive, which mandates increased cybersecurity development — particularly for operators of critical infrastructure. This process is made more complex by the convergence of OT and IT: as the operational environment is increasingly digitalised, it becomes more exposed to cyber threats which were previously limited to IT networks and devices. The NIS Directive is causing a huge growth in utilities’ focus on cybersecurity deployment. The imminent threat of significant financial penalties is providing a tangible driver for focused investment in cybersecurity. This must now be translated into action, but our extensive research has shown that utilities need clarity on the effectiveness of the various IDS tools on the market, how they can be configured for a variety of use cases, and how internal capabilities must be optimised to drive cybersecurity performance. IDS and OT roadmap: laying the foundations for successful IDS deployment to underpin a robust OT Cybersecurity strategy which meets the demands of the NIS directive and the ever-increasing complexity of the threat landscape. Organisational alignment: ensuring a proactive approach to facilitate successful collaboration with buy-in from senior management and cooperation between business units from OT and IT. IDS procurement: examining key specifications and processes for electric utilities to identify, compare, and partner with vendors to ensure implementation of the best solutions for your environment. Implementation, integration, and configuration: installing and tuning IDS solutions to optimise their monitoring and analysis power, while eliminating false positives and alarm fatigue in the control room. SOC development: embedding robust and dynamic security capabilities into your organisation through upskilling of personnel, acquisition and retention of the best talent, and installation of the most intuitive SIEM. Advanced technologies: examining new techniques and tools for more advanced traffic monitoring including deep learning and artificial intelligence. The Energy Intrusion Detection 2019 concludes with a two-hour tutorial on the testing of IDS solutions to ensure optimal procurement strategy. The case-study agenda is complemented by a technology innovation panel, a series of end-user roundtable discussions, a live demo lab of cutting-edge technologies, an exhibition of the latest products, displaying 10+ suppliers, and an evening networking reception open to all attendees.